Licence, insurance, taxes and down payment (where applicable) are extra and may be required at the time of purchase. Dealer may sell/lease for less. Dealer order/trade may be necessary on certain vehicles. Unless otherwise stated herein, offers valid April 2-30, 2019, while supplies last. Lease and finance on approved credit for qualified customers only. Offers subject to change without notice. Visit mazda.ca or see your dealer for complete details. $2,397/$2,810/$2,466/$4,369/$4,978 weekly payment is $71/$83/$69/$94/$120, total finance obligation is $22,118/$25,931/$24,983/$34,240/$43,699. Taxes are extra and required at the time of purchase. 2018 MX-5 RF GT (L3TK68AA00) is $28,321/$30,521/$33,116/$39,926/$38,171/$50,971/$41,667/$44,667. Yes! 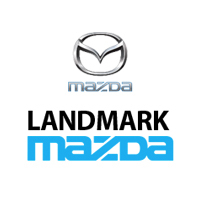 Please sign me up to receive e-mails and other communications from Landmark Mazda. And please send me information on products, promotions and other related information.